Steve Jobs was an inventor and entrepreneur, but perhaps was best known as the CEO and co-founder of Apple. Who is Steve Jobs, how old was he when he died, when is his birthday, how tall was he, where was he from and what is his background? Steve Jobs was a businessman who was the CEO of Apple, along with being the CEO and majority shareholder of Pixar. He died aged 56 from pancreatic cancer. He was 1.88 metres tall and was born on February 24, 1955, in San Francisco and was put up for adoption by his birth parents. He was adopted by Paul and Clara Jobs and raised in Los Altos, California. Steve Jobs was given a summer job at 13 by Bill Hewlett, working on the production line of Hewlett-Packard. Jobs began working for Atari in 1973. He and Steve Wozniak began inventing technology devices, and in the basement of Jobs’s home, Apple Computer was born. Why is Steve Jobs famous and what was his occupation? Steve Jobs was famous for being the co-founder and CEO of Apple. He left Apple and founded NeXT inc, before funding the setup of what eventually became Pixar. NeXT eventually merged with Apple and he soon became the CEO of his previous company, Apple, again. 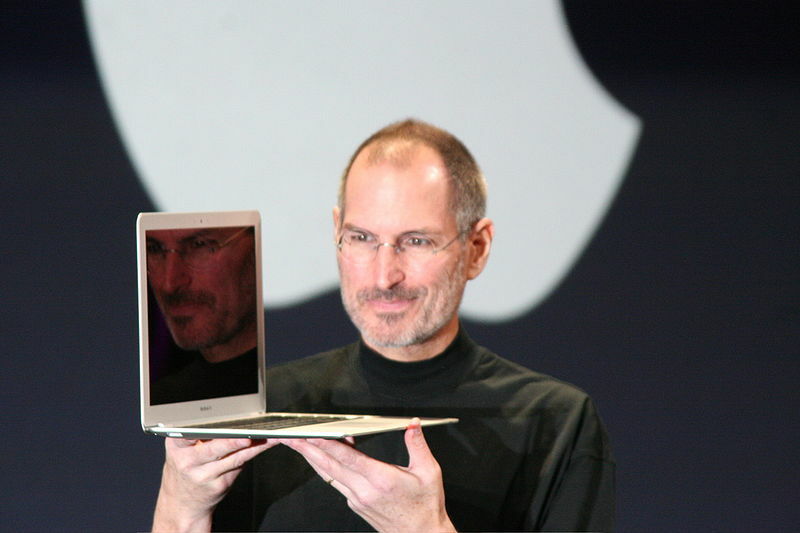 Jobs’ work changed the landscape of the computer, music, and film industries. What was Steve Jobs’s net worth? Forbes estimated Jobs’s 2011 net worth as $7billion. How much did Steve Jobs earn? Steve Jobs was one of several high powered CEOs to famously earn just $1 salary, choosing to invest the remainder by putting it back into the company. However, he earned benefits from the stock he held. How much did Steve Jobs weigh? Jobs weighed 160 pounds or 72.5kg, but his weight diminished as his health declined. How did Steve Jobs die, when did he die, what did he die from? Steve Jobs died on October 5, 2011, from complications related to pancreatic cancer, which resulted in respiratory arrest. What did Steve Jobs invent, why did Apple become so popular, how did he create it, how old was he when he started Apple, when did he start Apple, how did he think of the name, how many shares of Apple did he own? 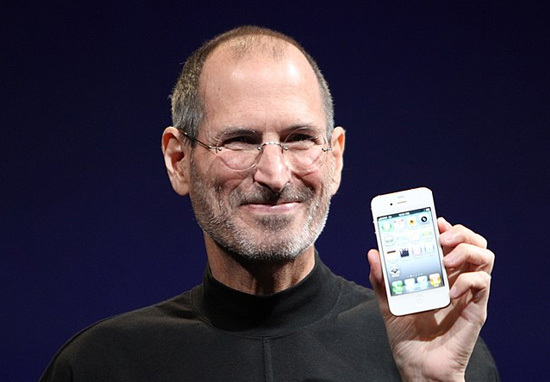 Steve Jobs invented the Apple Mackintosh, and is credited with inventing the iPod and later iPhone and iPad. Apple have released groundbreaking and visionary products which are highly desirable and sought after. Often Apple consumers are very brand loyal. Apple Computer (now known as Apple Inc) was created in the basement of Jobs’s home in 1976. The name came from Jobs’s description of the time he spent in an apple orchard while at a commune. His wife inherited around 38 million shares of Apple from him. However, he did initially hold more shares, which he sold in 1985. He reportedly was not a big drinker of alcohol, and after a liver transplant in 2009, it is likely he became teetotal. How did Steve Jobs invent the iPhone, how did he come up with the Apple logo? He was inspired to create the iPhone by an acquaintance who worked for Microsoft. The acquaintance had been boasting about designing a tablet device with a stylus. This got Jobs thinking about how he could come up with something better; a smaller device that packed in the same features, which could be used without a stylus. There have been several versions of the story behind Apple’s logo design, with its iconic bite taken from the fruit. Myths include a nod to Enigma codebreaker Alan Turing, Sir Isaac Newton, and the Bible. The logo’s designer has stated that the bite from the apple was added simply for scale, so that it was distinguishable from a cherry. Is Steve Jobs married, who has he dated in the past, was he married, how did he meet his wife? Jobs and his wife Laurene married on March 18, 1991, in a Buddhist ceremony. They had met at Stanford Graduate School of Business, where Laurene was a student and Jobs was giving a lecture. They had three children together Lisa, Erin, Eve and Reed. Prior to meeting Laurene, Jobs had an on-off relationship with Chrisann Brennan, with whom he fathered a child. How did Steve Jobs become famous, why is he successful? He became famous for his involvement with Apple and was instrumental in bringing the company to the level of success it has today. Steve Jobs was successful owing to his drive, vision and determination. Where did Steve Jobs go to college and high school? The former Apple CEO attended Homestead High School. He went on to Reed College, but dropped out as he didn’t want to spend his parents’ money. 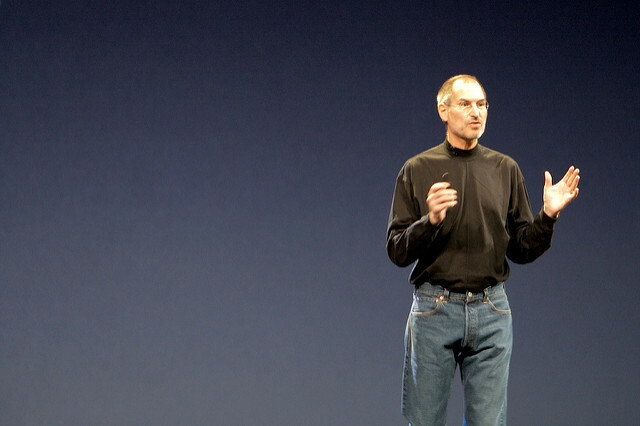 What was Steve Jobs’ leadership style? Jobs was known for his perfectionism and high standards. He was known to be unconventional and at times critical. He has been described as visionary and driven, although occasionally at the expense of others’ feelings.